This is my little friend Esnart*. 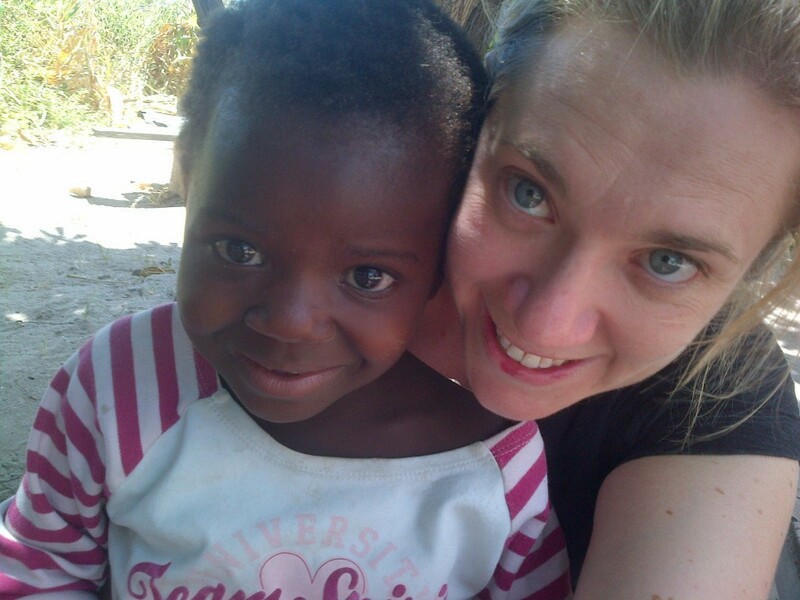 Last Friday morning we travelled 2.5hrs south of where we stay, to visit one of our communities in the Kabwe region. I was privileged enough to meet her and spend time visiting with her family at her home. I posted a brief comment on Facebook with this picture but I wanted to take the time to expand on her story here. I was reminded once again that we truly serve a God of miracles. This precious little girl, for all that has occurred in her life so far, should not be alive today. Esnart became a double orphan by the time she was only 7 months old. At this time and for the next 4 years she was terribly sick and severely malnourished, close to death many times. She was taken in by an Aunt who cannot provide for her own 5 children, let alone the 2 extra orphans she has taken into her home. The Aunts family live 3 hours away and have essentially abandoned her, so she has no outside support for her family. Her husband goes out each day to try find small amounts of piece work for the day, but often comes back unsuccessful. The family is currently squatting in a house that is being built by someone else in the community. As soon as the construction is completed, the family will be out on the streets again looking for another place to provide them shelter. Daily life is tough for this family, and especially for little Esnart. However by the grace of God today she is a healthy and strong 7 year old girl, who is relatively shy, but you can definitely see there is a cheeky side to her in hiding. She has been able to start Grade 1 of school this year for the first time, and is so excited after having watched her sister attend school, that she herself is now able to go. I can’t help but think after all she has been through, and how God has miraculously preserved her life, that He does indeed have special plans for her little life. The past week we have been studying a book as a Hands at Work Community in the lead up to Easter called – “The week that changed the world” by Timothy Dean Roth. It’s a wonderful book that breaks the scriptural journey to the cross day by day, to read through the events from just before Palm Sunday all the way through to Pentecost, on a daily basis. The complete example of obedience that Jesus modelled for us. “…yet not my will, but yours be done.” I desire to live out this kind of radical and sacrificial obedience. The absolute extravagance of the love that God showed to us through sending his only beloved Son to the cross. Too great for my mind to even begin to comprehend. The depth of gratitude in my heart for what Christ has done for us – which no matter how much I try to express or comprehend it, my thankfulness does not seem enough. I am reminded that Jesus came for the sins of the world. The cross represents salvation being available to all who believe in Him. And yet at the same time, he also came for the one. He came for you, and he came for me. He came for little Esnart. I believe he died for all, and yet I also believe he would have died just for the one. Like the parable of the Shepard who left the 99 to go after the one; He came for Esnart, for me, for you. I am challenged as to how I should live my life in response to this. Great word Mel. Thanks for the blessing that you are. Can only imagine the excitement of sharing your work and your world with your parents now. Enjoy!